You’re busy. We get that. We know how time-crunched your days are: running from one meeting to the next, answering emails around the clock, hopping on numerous conference calls, and trying to grab a healthy bite to eat between all of this. If you have children, your time before and after work can be just as hectic. 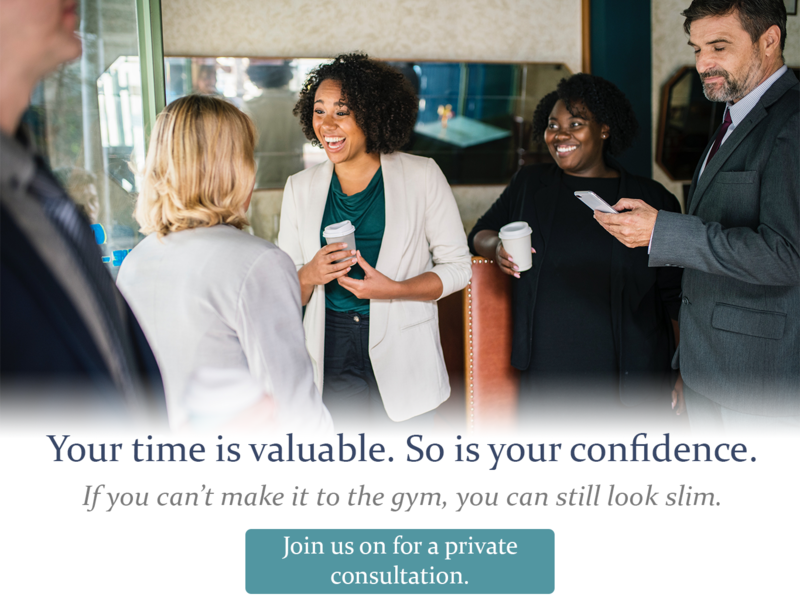 With little time for the gym, you may notice that you are a little less slim in those suits or business casual dresses. This can impact how you see yourself, and ultimately the confidence that you carry into important meetings. If this sounds familiar, don’t fret. We have a solution we think you’ll love: CoolSculpting. Tuesday, 2/19. Flexible evening hours are now available! Complimentary 30-minute consultations. Our certified expert will walk you through the process, what it can do for your body, and what areas could benefit the most from treatment. Easy Registration – simply reserve your spot with the form below.